The budget process is underway in the Wisconsin State Legislature. Since Governor Scott Walker introduced his 2017-19 biennial budget proposal on February 8, legislators have been busy combing through the 989-page document. While the legislature will likely amend the proposal, those changes have yet to be announced. Recently, the nonpartisan Legislative Fiscal Bureau released its “Summary of Governor’s Budget Recommendations”. The publication offers plain-language synopses of the governor’s proposed budgetary changes in each state agency. It’s a particularly valuable source of information to the legislature, especially the Joint Committee on Finance (JFC), which consists of majority and minority members from both houses. The committee is tasked with approving the proposal before it receives a vote on final passage in the legislature. The committee can also amend the proposal. Throughout last week, the JFC heard testimony from various state department secretaries on the governor’s budget proposal affects their departments. The hearings, known as Agency Briefings, are the first of many hearings and meetings the JFC holds as it works through the budget process. In one of the more high-profile moments of the week, Department of Transportation Secretary Dave Ross testified before the committee on Wednesday, March 29. Lasting several hours and running late into the night, Secretary Ross testified and fielded questions from committee members. Ross touted the governor’s plans to invest $6.1 billion in the state’s transportation system without raising taxes or fees. He noted the budget proposal provides a total of $460 million annually to local governments and over $1.7 billion for the State Highway Rehabilitation Program. The budget also proposes $670 million in total funding for major road projects. While the department promotes the fact the budget does not increase taxes and fees for road projects, some JFC members raised concerns that the proposal cannot solve the transportation funding shortage without raising new revenue in some way. Multiple committee members indicated they were willing to support options for raising revenue in hopes of creating a long-term solution to transportation funding. 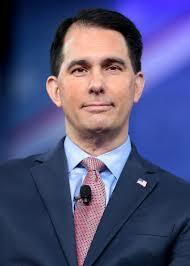 However, during the hearing, Governor Walker tweeted that he would veto a gas tax increase. Ross’ testimony provided an opportunity for the department and members of the legislature to debate the issue publicly. However, there seemed to be no consensus on a policy solution. It is important to note, the Unfair Sales Act was not part the discussion. Now that agency briefings are complete, the JFC will hold public hearings in communities throughout the state. This year, public hearings are scheduled in Platteville on April 3, Milwaukee on April 5, Berlin on April 7, Spooner on April 18, Ellsworth on April 19, and Marinette on April 21. Any member of the public has the opportunity to testify at a public hearing. The committee values the hearings as a way to gauge the public’s budgetary priorities. Once the public hearings are complete, the Joint Committee on Finance plans to vote on the proposal section by section, one agency at a time. These votes have not yet been scheduled, but they typically take place at the end of April and run into mid-May. There is still a lot of work to be done on the budget, but the process is underway.